One more grilling recipe while the weather is still warm! Asian flavors make a frequent appearance at our dinner table. Thai is one of my personal favorites. It can be made as spicy or mild as you like by adjusting the curry paste or red peppers. This chicken can either be prepared on the grill, or inside in a skillet. I used the last of the Thai basil from my garden in this, but it is also good with chopped cilantro. 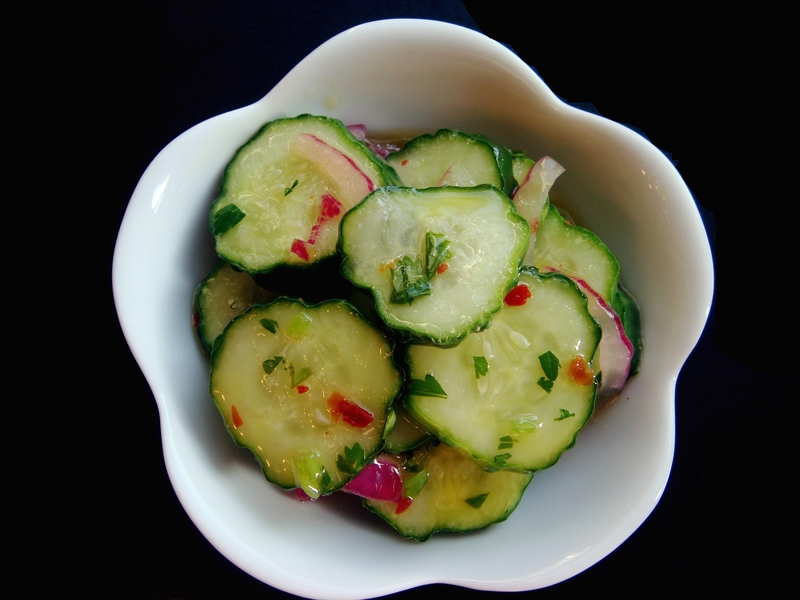 This Thai cucumber salad was a nice accompaniment to the chicken. It is light, just a little sweet, and a little spicy. Made with my favorite little pickling cucumbers. In a blender combine first 9 ingredients. Blend until combined. Heat 2T oil in a large skillet. Season chicken with salt and black pepper, then add chicken to pan and sauté until chicken is cooked through. If you need to cook your chicken in batches, then keep chicken warm (on a plate under foil) while cooking additional chicken. Add sauce to pan. Scrape off browned bits from the bottom of the pan. Turn off heat and mix in chopped Thai basil or cilantro. 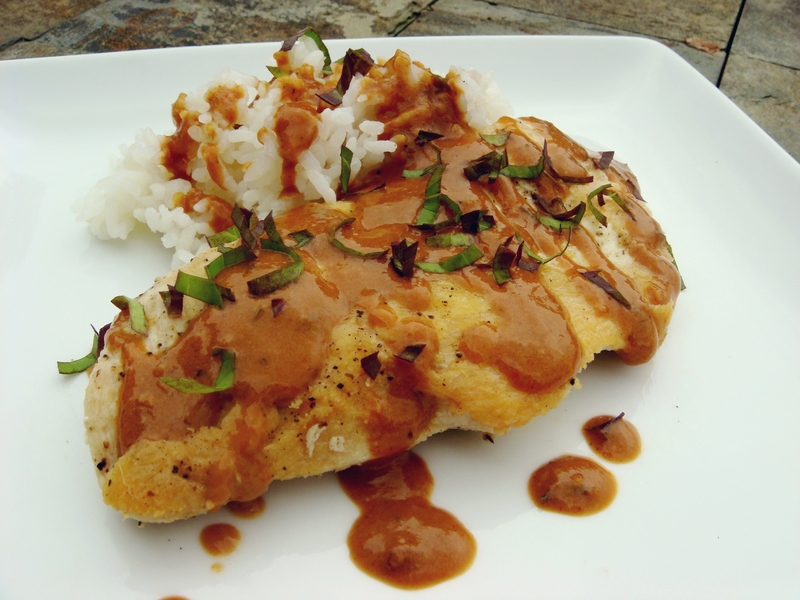 Serve immediately over warmed chicken breasts, with additional chopped Thai basil or cilantro for garnish, if desired.